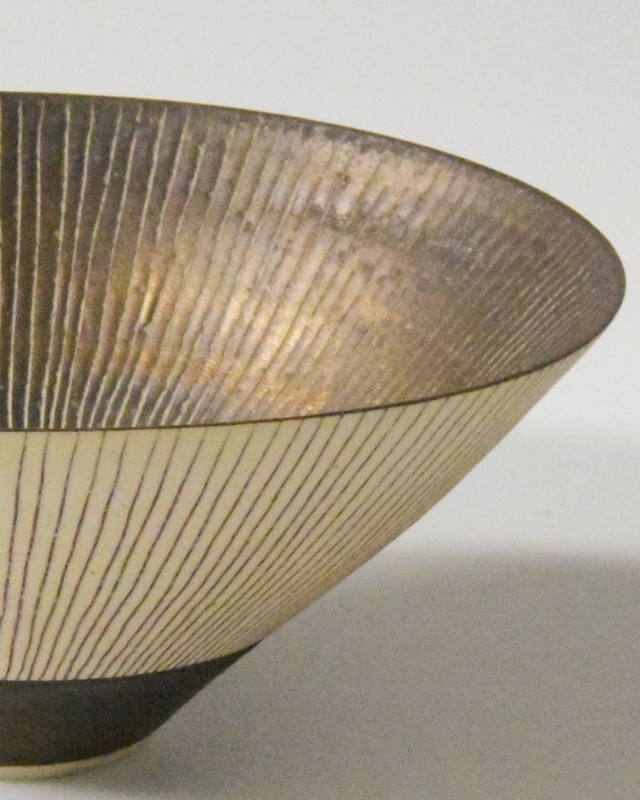 Helen was drawn to the sgrafitto lines on a bowl by Lucie Rie and wanted to reflect these in a design for a light. She recalled a photograph, taken by Lord Snowdon, of a diminutive Rie, sitting next to a large Moon Jar. Moon Jars, traditional Korean storage vessels, were influential on Western studio pottery. Bernard Leach (regarded as the ‘father of British studio pottery’) had bought the Moon Jar in Seoul and asked Rie to look after it for him (which she did for more than 50 years). It is now in the British Museum. This inspired Helen to create a range of porcelain lights combining the iconic shape of the Moon Jar with Rie’s signature sgraffito marks. Simplicity and multi-functionality often feature in Helen’s designs and the lights can work hanging down (with LED bulbs), sitting on a surface (with a candle), individually or collectively.